This Volume is a collection of essays on time in Buddhism. Contributors are eminent scholars from all over the world, including Th. Stcherbatsky, Louis de la K Vallee Poussin, M. Walleser, F.O. Schrader, Stanislaw Schayer, G.N. Jha, A.B. Keith, André Bareau, Hajime. Nakamura, Kenneth K. Inada, Lewis R. K Lancaster, Alex; Wayman and David. Kalupahana. These essays have already appeared in different journals or books between the years 1902 and 1989. Most of them were inaccesible and there was a need to reprint them in one volume. This book aims at precisely that with a views to encouraging further research in the field. In the Introduction, H.S. Prasad offers critical appraisals of the essays. He shows that the so-called reality of time is nothing but a derived notion from change, and that past, present and future are only tensed ways of referring to different psychological states of remembering, perceiving and anticipating. Prasad's theory of time is a viable alternative in the direction of solving many puzzles and K perplexities concerning time. Prasad has published in Journal of Indian Philosophy, East and West, Indian Philosophical Quarterly, Paramarsa, Journal of Buddhist Studies and the Annals of Professors’ World Peace Academy. His other books include: (1) Amala Prajna : Aspects of Buddhist Studies (Co-edited with N.H. Samtani), (2) The Uttaratantra of Maitreya, (3) Time in Indian Philosophy (edited) and (4) The Buddhist Philosophy of Time. Currently he is working on the Buddhist theory of meaning and a critical edition of the Bodhicaryavatara of Santideva with Prajnakaramati’s panjika. The idea of this Volume was conceived in the early 1979 during my stay at the Australian National University, Canberra, for my Ph.D. under Professor J.W. de Jong. 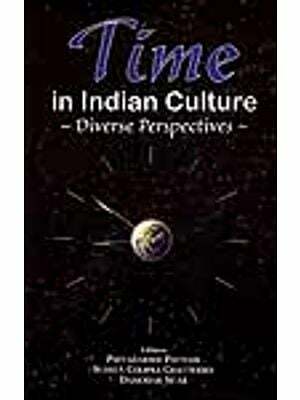 At the end of 1981 I found that I had collected almost all those important materials, dealing with the Indian conceptions of time and temporality, which were already published in some journals or books. I classified them into two groups: (1) Essays on Time in Buddhism, and (2) Time in Indian Philosophy, representing non-Buddhist schools. The aim of this enterprize is to present a picture of the modern studies of time and temporality based on Indian philosophical literature. As we can see, some of these studies are pursued by great savants like Th. Schrabatsky, Louis de la Vallée Poussin, Stanislaw Schayer, A.B. Keith, O. Schrader and M. Walleser. In the absence of a comprehensive and systematic book on this subject it become imperative to collect and reprint them together. My own , forthcoming book on time, The Buddhist Philosophy of Time, which is an outgrowth of my Ph.D. dissertation, will be a supplement to these collections. I hope these three works will arouse interest in the scholars to undertake further studies of the concept of time in Indian philosophy. The ordering of the articles, although not strictly, is in accordance with the historical development of the Buddhist schools. In some more than one schools are discussed. But I prefer to begin with the Theravada school, i.e. Pali Buddhism, through the Sarvastivada-Vaibhasika and Sautrantika schools to the Madhyamika and Yogacara-Vijnanavada schools. Naturally, there is parallel development of the thoughts of time and temporality to the historical development of these schools. In Buddhism, the time—concept evolved from the experience of the fact of change which led to accepting it as the basic assumption of the Buddhist schools. The full implications of this is reflected in the Yogacara- Vijnanavada school of Vasubandhu and Dinnaga. This has been intelligently discussed by Stcherbatsky and Satkari Mookerjee. Further, Bareau's treatment of time in early Buddhism (i.e. Hinayana Buddhism comprising Theravada as well as Sarvastivada-Sautrantika schools is based on the Kathavatthu, Vasumitra’s Treatise of Sects, The Abhidharmakosa and the Mahavibhasa, which mentions some of the least known schools such as Kasyapikas, Andhakas, Purvasailas, Aparasailas, Vatsiputriyas and Bahusrutiyas. His discussion of the three time—expressions: past, present and future according to these schools and his conclusion that one of the Buddhist views "sees in time a mere modal expression of things" (p. 12) and "the notion of time, as conceived by early Buddhism, is all the more important as it is closely related to the notion of ontology, the master conception of Buddhist Philosophy, whose fundamental notion is that of unsubstantiality" (ibid. ), are interesting and to be further investigated. Genjun H. Sasaki deals with the notion of time discussed mainly in the Dhammasangani together with its commentary Atthasalini and the Nyayanusarasastra of Samghabhadra which makes an attempt to counter the Sautrantika criticism of the Sarvastivada on traikalyavada. The latter discussion is also found in La Vallée Poussin’s articles reprinted in this volume. Sasaki’s approach is textual lacking critical analysis, but one can gather from it some ideas of time and temporality in early Buddhism. He tries to show (p. 26) that both the aspects of time, subjective as well as objective, have their psychological origin, i.e., they are consciousness—based. Time as a substantive reality, he rightly says, is denied throughout (Buddhism. Another word which is used somewhat in place of time (kiln) is ‘samaya' having various connotations (pp. 25.-26). Although the title of his paper is - “The Time Concept in Abhidharma", he fails to develop a clear concept of time in Abhidharma. Louis de la Vallée Poussin's three articles are unique in the sense that they are exclusively based on the Chinese sources, the Sanskrit counterparts of which are now lost. He has done a commendable service to fill the serious lacunae created by this loss in the history of the Buddhist notion of time. His “Documents d' Abhidharma" is a restoration into French from the Chinese version of the Vibhasa and Samghabhara’s Nyayanusarasastra which is also a Vaibhasika text. The latter is one of the two texts, the other being the Abhidharmadipa, which counter the Sautrantika polemics against the Vaibhasika notion of temporality or the three time-epochs (traikalyavada) contained in Vasubandhu’s Abhidharmakosa and its Bhasya. In April 1974, Philosophy East and West brought out a special time containing verious articles on "Time and Temporality’. Some of its articles are being reprinted here. One of them is D.J. Kalupahana’s "The Buddhist Conception of time and temporality" in which he maintains that "early Buddhism considered both time and causation as parts of our experience, not as mere inferences based primarily on the succession of momentary ideas. Thus, it is possible to maintain that early Buddhism presents us with an empiricist analysis of time" (p. 483). He makes a controversial claim that "the Buddha seems to have considered time as an essential feature of the universe and the experience of it". (Ibid). What I think is that it is change which is an essential feature of the universe in Buddhism and time is a derived notion from it. The Buddha’s statement regarding time should be understood not at its face value, rather through the interpretation of the contexts in which he held an empiricist view of time. Kalupahana’s own observations are based on such interpretations. He himself realises that in due course after the Buddha’s passing away, the empiricist view of time and temporality changed completely. Such a shift was a logical implication of the Buddha’s certain statements about the nature of the universe. His article, after all, makes an important contribution to the understanding of the notions of time and temporality in early Buddhism. But one of his final conclusions is very objectionable that "the Abhidharma scholasticism produces an absolutistic conception mainly because of its speculative approach" (p.486). What I find is that even in the Abhidharma, time as an absolute substantive reality is clearly denied. Some of these issues are discussed in one of my articles on the concept of time in Pali Buddhism mentioned earlier. He very well summarises the Madhyamika approach to time and temporality. Time is nothing more than temporality in terms of past, present and future at conventional level. This means that even from the empirical point of view time is not a reality, and temporality of the sequence of events (or entities) shows their relational origination and thus the voidness of their own nature nihsvabhavata, sunyata from the ultimate point of view. He rightly maintains that temporality is "lived time" (p. 475). A.	Charlene McDermott’s article mainly discusses in the light of contemporary Western thinking the Sautrantika polemic against the four Sarvastivadins: Dharmatrata, Ghosaka, Buddhadeva and Vasumitra, found in the Abhidharmakosabhasya and the Tattvasamgrahapanjika. Her such endevour cannot go unchallenged. Her observation that there is "an undeniable kinship between Dharmatrata and the detensers for whom reality is at bottom a beginningless neo-Eleatic whole" (p.410) is true in the case of other Sarvastivadins also, namely Ghosaka, Vasumitra and Buddhadeva. All the four Sarvastivada theories bear such kinship. Further, Ghosaka-type modification of dharma is basic and common in all the remaining three, who too admit the underlying becomingless substance, a position held by detensers. In Dharmatrata, change is not only epistemic in Bradleyan sense, but they are very much real in the Sarvastivada realism. Hence it is wrong to say that in Dharmatrata temporal evolution is not solved but dissolved. From a careful reading of the Abhidharmakosa together with its Bhasya and Vyakhya, it will be clear that the Sautrantikas do accept change of the states (anyathatva) of an enduring substratum (asraya). The notions of sempiternal substratum and its modification or change are not mutually incompatible. The non-temporality of substratum and the temporality of its states are co-extensive. I have discussed in detail the Sautrantika asraya theory together with their bija theory in my Introduction to The Uttaratantra of Maitreya. Further, McDermott’s comparison of Ghosaka with McTaggart is not warranted. McTaggart shows the impossibility of A—series (past, present and future) and thus the reality of time, whereas Ghosaka at least admits the possibility of A-series. Moreover, from the above discussion it is obvious that the Sautrantikas will not reject the theory that "becoming is a species of qualitative change" (p. 411). McDermott seems to be very fond of tense logic, but her treatment of the Buddhist notion of temporality is questionable. She interprets the Sautrantikas as P-tensers (p. 414), for which ‘real’ means ‘what now exists’ (ri.2). I think they are also at the same time C-tensers, for which ‘real’ means 'what has existed, exists now, or will exist', if we take into account their theories of substratum (asraya), seed (bija) and change (anyathatva) where the underlying substance is timeless or atemporal (=detensed). This means that the Sautrantikas are all together P-tensers, C- tensers and de- tensers. But the significance of McDermott’s article lies in the fact that it shows the relevance of the Sautrantika view of time and temporality in the light of Western contemporary thinking and this initiates a discussion which should be pursued further. Paul M. William’s article - “Buddhadeva and Temporality" is similar to that of McDermott. He analyses the Sautrantika arguments against Buddhadeva’s theory of temporality on the line of McTaggart’s analysis of temporal events in the light of A-Series (past, present and future) and B-series (earlier than, simultaneous with and later than). He has consulted the same Buddhist sources as done by McDermott, but for McTaggart he has heavily used R.M. Gale’s edited book: The Philosophy of Time which comprises editor’s own illuminating introductions to all of its five sections.